Hi everyone. My first two CDT presentations have been set for October. They were just posted today and space is limited, so go to the links below to register. If they fill up, they said to sign up on the waitlist and they may open it to more people. If you miss out, I have two more coming up in 2014so far. 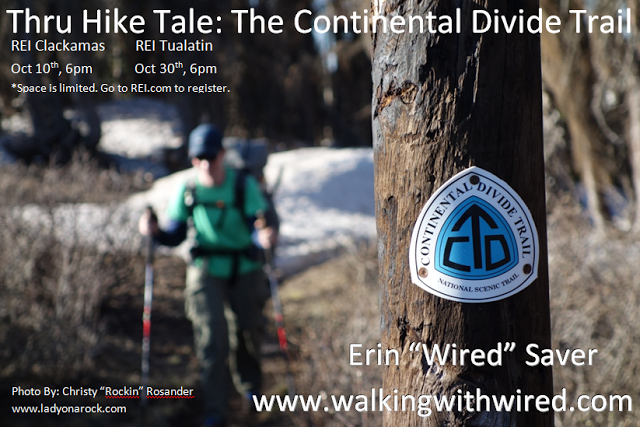 Here is the list, with links to the REI events if you click on them.